The Global Network Initiative (GNI) welcomes the continued focus by U.S. Secretary of State Hillary Clinton on Internet freedom and her acknowledgment of our initiative. We share her emphasis on fundamental human rights and the value of an open and free Internet. We support increased attention to the role and responsibilities of governments around the world in light of both the temporary shutdown of the Internet in Egypt and its dramatic use as an instrument of democratic expression across the Middle East. As governance standards evolve, it is essential that the principle of a free and open Internet prevail. National laws, regulations and policies must be consistent with international human rights standards on freedom of expression and privacy. As Secretary Clinton emphasized, people’s aspirations for civic engagement, communication, and access to information pre-date modern technology. But the role technology companies have come to play in the last decade has expanded exponentially. Now they must work collaboratively with civil society and others to protect and respect the freedom of expression and right to privacy of users around the world, and to implement responsible policies and practices. If the demands or actions of governments restrict freedom of expression and privacy, companies must be transparent and accountable for the decisions they take in response.  The Global Network Initiative (GNI) provides a framework for company decision-making through a set of Principles and Implementation Guidelines based on internationally recognized human rights standards. Participating companies benefit from working directly with human rights and press freedom groups, investors, and academics, who can provide real time problem-solving support, often with experts or networks on the ground in locations around the world. GNI helps ICT companies operate responsibly in diverse and challenging global markets, while respecting the freedom of expression and privacy rights of their users.